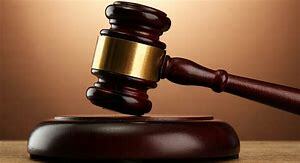 A BULAWAYO man has lost a $40 000 lawsuit against the Postal and Telecommunications Regulatory Authority of Zimbabwe (Potraz) which he was suing after sustaining injuries when a kombi he was travelling in was involved in a head on collision with the company’s vehicle. Mr Mkhweli, through his lawyer Mr Vonani Majoko of Majoko and Majoko Legal Practitioners, filed an application at the Bulawayo High Court, citing Potraz and Mr Marufu as defendants. He sought an order directing the defendants to pay him $42 448, 78 being damages for shock, pain and suffering, medical expenses, permanent disability and loss of amenities and future earnings. Bulawayo High Court judge Justice Nokuthula Moyo dismissed the application and absolved the two defendants, saying Mr Mkhweli conceded to Mr Marufu’s account, which exonerated him from any wrongdoing. “I accordingly hold that the plaintiff (Mr Mkhweli) has failed to establish an essential element of his claim, and that is the defendants’ wrongful conduct on the day in question,” she said. “I hold that there is no case established by the plaintiff upon which a burden has been cast on the defendants to respond. I accordingly grant defendants’ application for absolution from the instance, with plaintiff ordered to pay the costs,” ruled the judge. Mr Mkhweli said he sustained a fracture on his right leg and had to be admitted to hospital for four months. He said he was now physically incapacitated due to the injuries and had to be forced to leave his job on medical grounds. Both lawyers argued that Mr Marufu’s liability had been negated by Mr Mkhweli’s concessions.